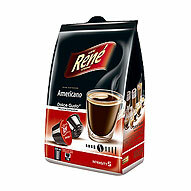 A selection of three great tasting espresso blends from Cafè Renè range. 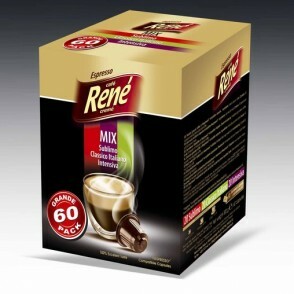 Contains: 20x Cafè Renè Classico Italiano, 20x Cafè Renè Intensiva, 20x Cafè Renè Sublimo (60x coffee capsules in total). 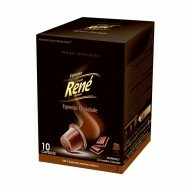 Pack of 60 assorted coffee capsules for Nespresso machine. ‘Nespresso’ is the Registered Trade Mark of Socit Des Produits Nestle S.A. and any use of the term is an indication of product use and compatibility only. 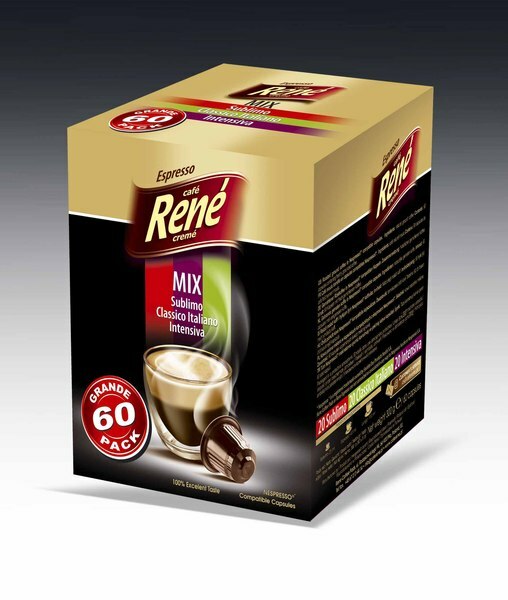 Cafè Renè coffee pods are not made by Nespresso. 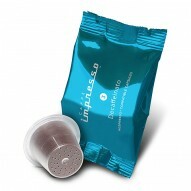 These are Nespresso compatible coffee capsules for use in Nespresso coffee machines.